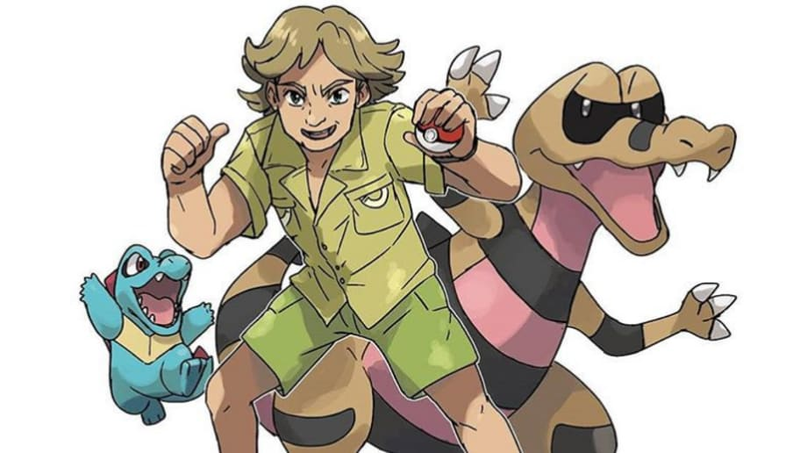 Steve Irwin enters the Pokemon world in a new piece of fanart which has become a widely popular tribute to the Crocodile Hunter. Drawn by user vivinkart on Instagram, the fanart shows Steve Irwin as a Pokemon trainer alongside two crocodile-like Pokemon. On his left is Totodile, the Big Jaw Pokemon, who was the Water-type starter in Pokemon Gold, Silver and Crystal, as well as remakes Pokemon HeartGold and SoulSilver. On his right is Krokorok, the Desert Croc Pokemon, a Ground/Dark-type originating in Pokemon Black and White who is the evolution of Sandile. Steve Irwin was an Australian zookeeper, conservationist and television personality who achieved worldwide fame with the hit television series The Crocodile Hunter. Irwin became a household name with his excitable personality and infectious enthusiasm as he showcased crocodiles, snakes, and other wildlife, all paired with an outdoorsy Australian charm and signature catchphrase "Crikey!" Steve Irwin tragically lost his life in 2006 while filming an underwater documentary when he was pierced in the heart by a stingray barb. A public memorial service was broadcast throughout Australia, the United States, the United Kingdom, Germany, and Asia, with over 300 million viewers worldwide. This new fanart remembers him at his best, showing off his passion and love for wildlife. Pairing him with two of the more well-known crocodile-like Pokemon pays tribute to Irwin's moniker and his hands-on approach to wildlife. It helps that Irwin's khaki shorts bring to mind the memetic youngster in the Pokemon Red and Blue games who professed a like of shorts. Irwin's homeland of Australia has yet to see representation in the Pokemon series, but the newest announced titles Pokemon Sword and Shield draw inspiration from the United Kingdom where Irwin was wildly popular.